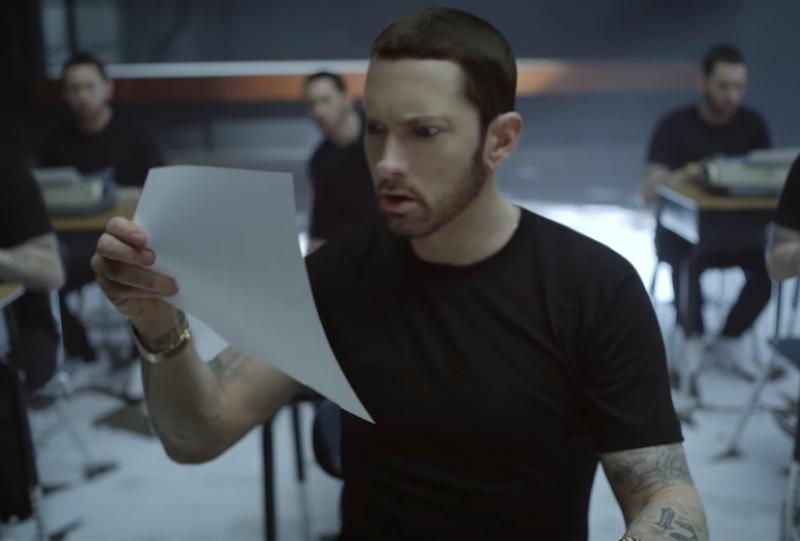 Following his Q&A on Shade 45 last week, Slim Shady drops off a video for his Queen Bey assisted "Walk On Water," the lead single from his ninth studio album Revival. Previously released as an Apple Music exclusive, Walk On Water is now available for viewing on YouTube. Available for streaming here, Revival features additional appearances from Ed Sheeran, Pink, Skylar Grey, Alicia Keys and Phresher.